Yanoun really is surrounded and enclosed by settlements. On each hilltop you´ll find settler structures. Actually settlers regulary drive with a car to the village in the evening, just sitting there for a few minutes and then leaving again. 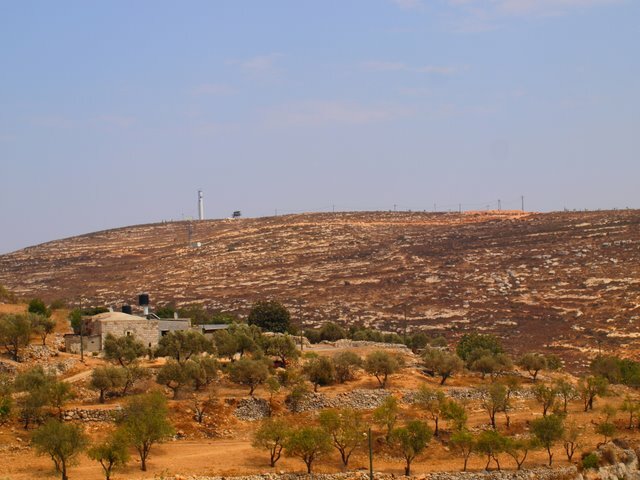 With the building of the road observed today and a recently planted vineyard in one end of the valley the settlers seemingly try to create precedents.